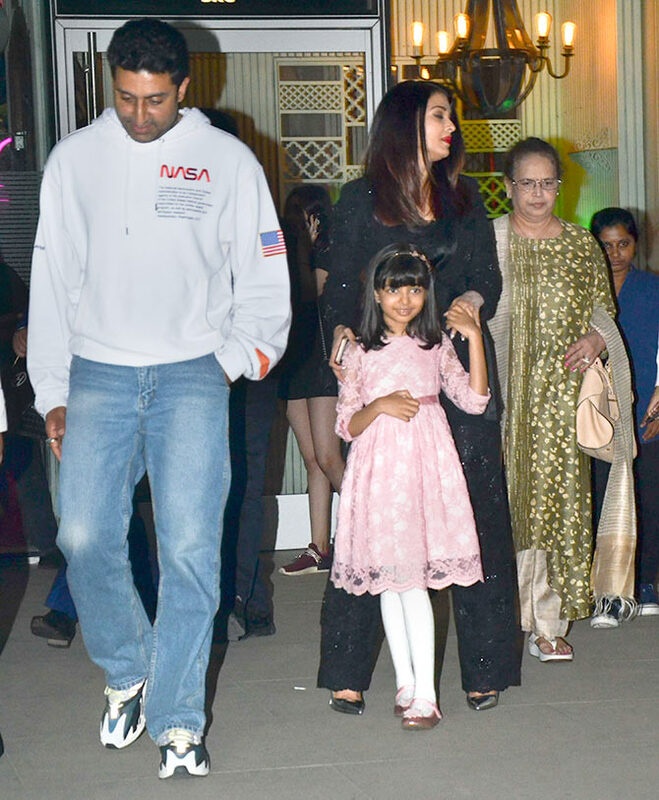 The Bachchans dine out to celebrate Abhishek's birthday. 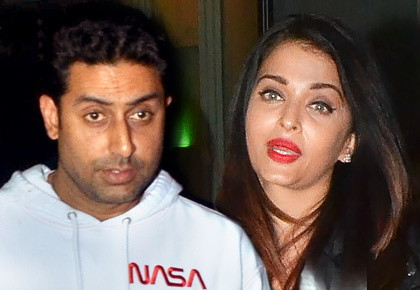 Aishwarya Rai Bachchan hosted a birthday dinner for her husband's 43rd birthday at the Butterfly High restaurant, Bandra Kurla Complex, north west Mumbai. 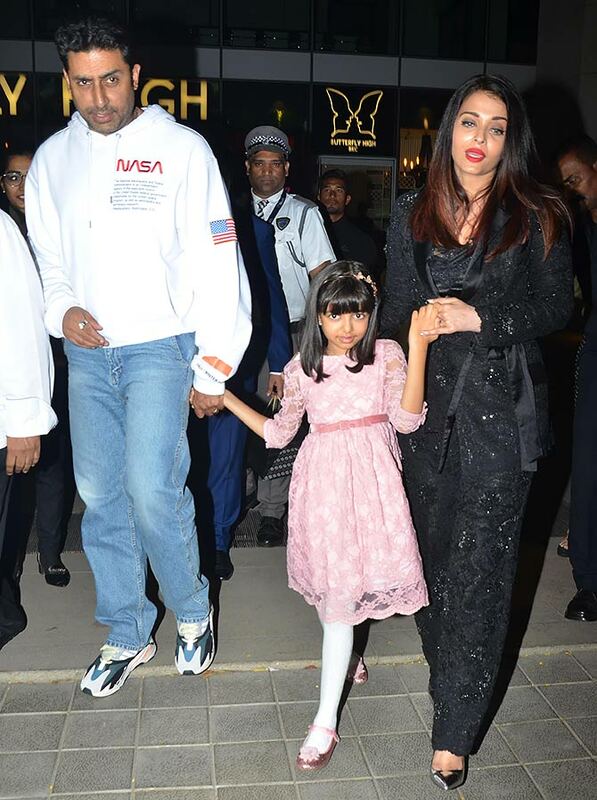 The guests included their daughter Aaradhya, Abhishek's dad Amitabh Bachchan, sister Shweta Bachchan Nanda and mother-in-law Vrinda Rai. Abhishek's mom Jaya Bachchan was away in New Delhi, attending Parliament's Budget session.